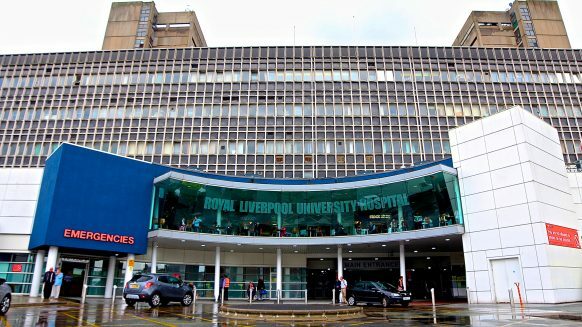 London: Global Digital Exemplar, Royal Liverpool and Broadgreen University Hospitals NHS Trust is using artificial intelligence (AI) to improve the treatment of patients who have had a heart attack, in a project that could see wider use of AI to inform treatment decisions across the Trust. The Trust, which was named as the NHS’ Global Digital Exemplar (GDE) of the year at the 2017 EHI Awards, will use technology from award-winning healthcare firm Deontics. This will enable doctors on the Trust’s acute cardiac unit (ACU) to access AI-driven evidence-based clinical treatment recommendations that are tailored to a patient’s individual needs. Deontics will encode the appropriate guidelines from the National Institute of Health and Care Excellence (NICE) and other bodies, and make these specific to a patient’s risk factors, which will help doctors avoid medication that could increase risks of bleeding and recurrent heart attack. “Some of our most frail and elderly patients with acute coronary syndrome are getting some of our most powerful drugs,” says Liverpool chief clinical information officer (CCIO) Mike Fisher. Deontics uses cognitive computing technology and advanced healthcare-specific logic to act like a ‘clinical sat-nav’ for doctors. This enables them to make treatment decisions that are dynamically informed by relevant standards and guidelines such as those issued by NICE, and the latest good practice from published papers and reputable sources. These are then applied directly to the precise needs of individual patients according to their condition. Expected benefits include greater clinical compliance with standards, leading to increased care quality, enhanced patient outcomes, and reduced length of stay. Such compliance is a major driver for the NHS through activities such as its “Getting It Right First Time” programme and following recommendations from Lord Carter’s report into NHS productivity. “There is much evidence to show that the most effective hospitals are those that follow guideline-based treatments more closely,” said Fisher, which is using Deontics as part of the trust’s Digital Liverpool initiative. Deontics will help the Trust achieve greater compliance with those standards, and record any justified variation from the treatment recommended in accepted guidelines. Deontics is to be used on the Royal’s ACU over Summer 2018, initially linking to the Trust’s electronic notes system, with a view to integrating with other key clinical systems, including the forthcoming electronic patient record system. Then, once a patient is given a diagnosis of acute coronary syndrome, the decision support system will present personalised evidence on relevant treatment options and the best clinical pathway to use. Doctors can then follow that advice, or record why they provided alternative treatment. Once it proves itself in the ACU, Deontics could be used across the hospital in support of its Advancing Quality programme, which looks to provide high quality care for a range of high impact conditions such as heart failure. “We aim to start within something relatively simple, and then build up from there,” said the CCIO. Deontics technology is the result of long-term academic research in medical artificial intelligence. Its innovative software has helped it win the London Mayor’s MedTech business award, and seen it shortlisted for this year’s Patient Safety Awards. Deontics is also only one of seven companies worldwide named in Gartner’s “Cool Vendors in AI in Healthcare” report in 2017. Deontics provides personalised clinical decision support software that is the result of long-term academic research in medical artificial intelligence (AI) originating at Carnegie Mellon University, and subsequently developed at the Medical Research Council, University of Oxford, University College London and Cancer Research UK. Deontics was founded to incorporate concepts rooted in cognitive science, AI and medical informatics into day-to-day clinical decision making in order to improve the quality of medical care in the UK and throughout the world. Deontics provides clinically-led artificial intelligence for healthcare providers, payers and patients that delivers personalised clinical decision support for quality patient outcomes. A clinical ‘sat nav’ for personalised care, it dynamically integrates clinical good practice at national and local level with individual patient information directly into the patient pathway. The Royal Liverpool and Broadgreen University Hospitals NHS Trust is one of the largest and busiest acute hospital trusts in the North of England, with an annual budget exceeding £40m. It delivers services across two sites and three hospitals, the Royal Liverpool University Hospital, Broadgreen Hospital and Liverpool University Dental Hospital, and employs approximately 7,600 people. It provides a comprehensive range of specialist services to 750,000 people each year within a total catchment population of more than two million people in Merseyside, Cheshire, North Wales, the Isle of Man and beyond. The Trust provides general hospital services to the adult population of Liverpool and the Royal Liverpool Hospital has one of the busiest emergency departments in the North West, providing care and treatment for patients who have life threatening injuries and serious illnesses, such as strokes and heart attacks. It is a major centre for the diagnosis, treatment, care and research of cancer, as well as a regional cancer centre for pancreatic, urological, ocular, testicular, and oesophago-gastric cancers, specialist palliative care, specialist radiology and specialist pathology and chemotherapy cancer treatment services. It is one of the top teaching trusts in the UK with well-established links to the University of Liverpool, Liverpool John Moores University and international institutions. A new £335m state of the art Royal Liverpool University Hospital is currently in development. To find out more about the Trust, visit www.rlbuht.nhs.uk.